Give yourself a free vocal warm up! Your voice reveals who you are and how you feel about yourself and people make assumptions about you the minute you open your mouth. As they say, you never get a second chance to make a first impression - and speaking well makes a great first impression. 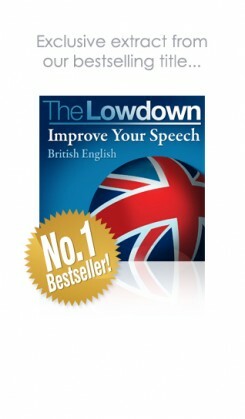 In this extract from our bestselling title: The Lowdown: Improve Your Speech - British English, Jamie Glover guides you through a series of easy exercises and gives helpful hints and top tips on how best to use your voice and tidy up your speech. Click here to find out more about The Lowdown Improve Your Speech - British English.